Synthetic fluid for transmissions, torque converters, automatic gear boxes, power steering mechanisms, etc., requiring a lubricant meeting TOYOTA T-4 or T-3. 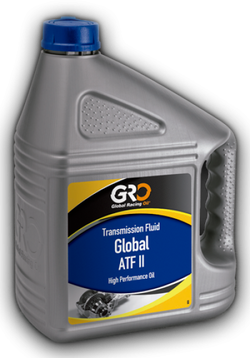 Fluid for mechanic transmissions, par converters, power steering and hydraulic circuits that need the norms of GENERAL MOTORS ATF type DEXRON II D or FORD MERCON and automatic gearboxes ZF. Fluid for transmissions, torque converters, automatic gear boxes, power steering mechanisms, etc., requiring a lubricant meeting General Motor's specification DEXRON III. Special synthetic lubricant developed for automatic transmissions and specially used for Hydra-Matic type,used in the new generation of light and heavy vehicles of General Motors. 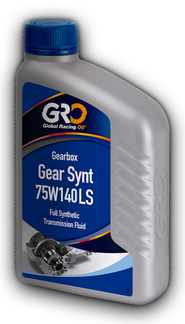 The highest technology in lubrication for gear boxes and axels, developed for standard differential as well as “limited slip” ones. Less fricition, wear, noise and fuel saver. Better fluidity at low temperatures. Extreme pressure lubricant for gear boxes, loaded hypoid axels, transmissions and other mechanical transmission elements. Fully synthetic lubricant, with fuel saving properties, for manual gearboxes of light and heavy vehicles, with very long drain intervals. This lubricant has been designed for transmissions equipped with or without braking systems of the type retarder / intarder. transmissions and other mechanical transmission elements. Multifunctional lubricant designed for the use in gearboxes, hydraulic systems, transmissions, final drives, axles and wet brake compartments. It leads to less friction, wear, noise and petrol consumption. It has a higher fluency at low temperatures. Multifunctional lubricant designed for the use in gearboxes, hydraulic systems,transmissions, final drives, axles and wet brake compartments. It leads to less friction,wear, noise and petrol consumption. It has a higher fluency at low temperatures.